For loved ones who can't make their own decisions now but would never want treatment to prolong their dying. *When it's too late for Advance Care Planning. The BEST WAY to Say Goodbye: A Legal Peaceful Choice at the End of Life (2007). Peaceful Transitions: Stories of Success and Compassion. Physician-assisted dying requires caution. San Diego Union-Tribune, October 15, 2016. Click here for article. Helping dementia patients avoid premature death. San Diego Union-Tribune, March 5, 2015. Click here for article. Terman SA (2013) It isn’t easy being pink. Potential Problems with POLST Paradigm Forms. Hamline Law Review 36:2 177-211. Stanley A. Terman (2013): Is the Principle of Proportionality Sufficient to Guide Physicians’ Decisions Regarding Withholding/Withdrawing Life-Sustaining Treatment After Suicide Attempts?, The American Journal of Bioethics, 13:3, 22-24. Must we all die with forced hand–feeding in Advanced Dementia? Will others honor our Living Will? For accompaning .pdf handout, click here. AHRQ supports research on health care outcomes; quality; cost, use, and access. The Eldercare Locator connects older Americans and their caregivers with sources of information on senior services. The service links those who need assistance with state and local area agencies on aging and community-based organizations that serve older adults and their caregivers. NIA leads the federal effort on aging research and its site includes written materials and other educational resources. 1201 New York Ave., N.W. Network of local volunteer opportunities for persons 55 and older organized by the federal government. AARP is a nonprofit, membership organization for people age 50 and over that provides health information, advocates in the public policy arena, and supplies information on aging resources. Provides the Five Wishes Living Will. A national association representing and serving members of the field of geriatric psychiatry. The Foundation website includes mental health information for older adults and their families, including finding a geriatric psychiatrist. Also provides referrals for mental health professionals, substance abuse assistance, housing, etc. This organization coordinates local groups that provide support for those suffering from chronic pain. The site also provides educational materials. A nonprofit funding research on age-related and degenerative diseases, educating the public, and providing emergency financial assistance to Alzheimer's disease patients and their caregivers. The site provides consumer information on assisted living, including lists of residences. Support group for caregivers of those suffering from Alzheimer’s and other brain disorders. West 46th Street & 12th Ave.
A nonprofit organization that provides educational materials onfuneral choices, refers individuals to appropriate societies and agencies supplying local services, and serves as a consumer advocate for reforms on the national, state, and local levels. A membership organization promoting intergenerational strategies, programs, and public policies. It also provides training for practitioners who work with grandparents caring for grandchildren. A non-profit organization with special consultative status with the United Nations Economic and Social Council. It carries out research on emerging topics and publishes the results on its website. A professional organization for grantmakers working for older adults. Focuses on the health status and other needs of older adults in developing countries. A national organization representing more than 2,800 hospices and thousands of caregivers and volunteers who serve terminally ill patients and their families. 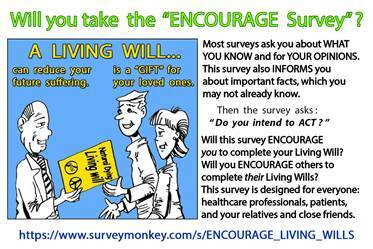 Its website provides basic consumer information about hospice care and the hospice industry. An independent, not-for-profit organization, serving members of the public and health care professionals with information and education about caring for the dying and bereaved. It provides information about good hospice and palliative care, information and referrals to hospices and palliative care organizations in the U.S., and help discussing issues related to caring for the dying and bereaved. 954 W. Washington Blvd., 5th Fl. Includes a list of local chapters of the volunteer program that provides meals to the homebound. Hosts the National Archive of Computerized Data on Aging. A non-profit coalition of national organizations working on family caregiving issues. A non-profit association of professional practitioners “working towards the highest quality of care for the elderly and their families.” They provide a pamphlet detailing what to look for when hiring a care manager. A national network of organizations including senior centers, adult day service centers, local agencies on aging, faith congregations, senior housing facilities, employment services, and other consumer organizations that hosts a website detailing government benefit programs. Includes resources on advance directives, grief loss, caregiving, financial issues, hospice and palliative care. The site provides free, state-specific advance directive documents and instructions. See Chapter 2 of our report for more information on this document, designed to help health care professionals honor the end-of-life treatment desires of patients. Rainbow Bridge is a non-profit dedicated to improving the lives of elders in nursing homes through intergenerational relationships with children. Over 13,000 children have participated since 1994. The Retirement and Intergenerational Studies Laboratory provides resources and assistance to community organization seeking to add intergenerational programs to their activities. RAC helps rural communities and other rural stakeholders access the full range of available programs, funding, and research that can enable them to provide quality health and human services to rural residents. It offers customized assistance, searchable databases, and research publications. A non-profit providing older adults education for and access to computer technologies. The organization supports over 240 Learning Centers throughout the U.S., publishes a quarterly newsletter and a variety of instructional materials, offers discounts on computer-related and other products and services, holds regional conferences, and operates numerous online discussion boards. A national resource for intergenerational educational programming. A privately held organization that electronically stores advance directives, organ donor information and emergency contact information, and makes them available to health care providers across the country 24 hours a day through an automated system. Registration is free when through a member health care provider or community partner. Volunteers of America is a national, nonprofit, spiritually based organization providing local human service programs and opportunities for individual and community involvement. It provides educational information and assisted living resources. A non-profit organization with a membership of 11,500 physicians and scientists from 65 countries dedicated to the advancement of therapeutics related to the science of longevity medicine. A4M educates physicians, scientists, and members of the public on anti-aging issues. The WHO Ageing and Life Course website highlights global issues in aging, including elder abuse, health care access and quality, and age-friendly standards. AgeVenture seeks to communicate scientific advances in aging research by reporting peer-reviewed findings, researching retirement lifestyle trends, and publishing self-help resources. The Alzheimer Research Forum was founded in 1996 to create an online scientific community dedicated to developing treatments and preventions for Alzheimer's disease. Access to the web site is free and available to the public. Provides resources on dying, caregiving, spirituality, funerals, advance directives, and organ donation. Run by a care management company offering products and services for sale, the website also provides free information on caregiving and aging. ConsultGeriRN.org is an online resource for nurses in clinical and educational settings. ConsultGeriRN.org has geriatric protocols, evidence-based for managing common geriatric syndromes and conditions, linkage to specialty nursing associations, hospital competencies, opportunities to acquire continuing education materials and much more! Dr. Ira Byock, long-time palliative care physician and advocate for improved end-of-life care, and a past president of the American Academy of Hospice and Palliative Medicine, provides written resources and referrals to organizations, web sites and books to “empower persons with life threatening illness and their families to live fully”. ElderCare Online provides knowledge, tools and community to help caregivers improve the quality of life for both themselves and their aging loved ones. A seniors’ guide to health, housing, legal, financial, retirement, lifestyles, news and entertainment information on the web. With a database of over 2,000 senior-related listings. Growth House, Inc., provides links to resources for life-threatening illness and end-of-life care. Includes a search engine that gives access to a comprehensive collection of reviewed resources for end-of-life care. A guide to government agencies, publications, databases, non-profit organizations, and support groups compiled by the U.S. Department of Health and Human Services. The University of Michigan Health and Retirement Study (HRS) surveys more than 22,000 Americans over the age of 50 every two years. Supported by the National Institute on Aging, the study paints an emerging portrait of an aging America's physical and mental health, insurance coverage, financial status, family support systems, labor market status, and retirement planning. HRS data products are available without cost to researchers and analysts. MealCall helps seniors and family members connect with local Meals-on-Wheels and other similar programs. MealCall also helps find volunteers for Meals-on-Wheels delivery. An online, interdisciplinary manual regarding geriatric care for clinicians and residents. Includes transcripts of roundtable discussions and conferences, readings, and a bibliography. This website, based on a PBS special, includes resources on care, and links to final days sites, and therapy sites. Sponsored by a private foundation, this site is an educational resource on pain and pain management for health care professionals and consumers. This site provides independent information for health professionals about the use of drugs in palliative care. 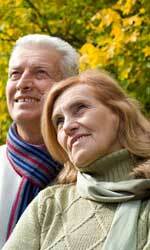 This site provides daily news and information for baby boomers. This website attempts to address women’s interests and concerns, especially the issues of community and connectivity. Hosted by a widower, this site provides online resources and discussion opportunities. Caring Advocates "The BEST WAY to Say Goodby..." event flyer. Customizable for your event.